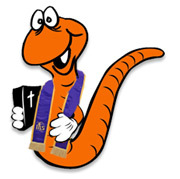 Article: WoRM vs Traditional Lesson Plans... What's the Difference? Comments originally posted by Neil MacQueen, re-posted and updated below. Your replies are welcome. 1. Talk and ask questions until the kids are bored. 2. Throw a craft or worksheet at them, or play a game that's tangentially related to the story. *If that is how your lessons go, you do indeed need to pray. Use creative methods as teaching tools, not boredom relievers. Use creative teaching methods throughout the lesson, not just to rescue it after the study. Creative opening activities, creative ways to pray, and everything in between. Utilize teaching activities that are hands-on, interactive, and thoughtful (to wit, you don't see coloring pages, popsicle stick crafts, or games with a flimsy connection to the topic). Don't need to "cover the waterfront" on the story because the teacher knows that their lesson won't be the only one their kids hear on the story. The kids will rotate for 4 or 5 weeks on the same story. The brainstorm to organize into "workshops" came during a summer classroom clean-out. The Pastor found all of last year's music tapes still in cellophane, videotapes unopened, game supplies un-touched, an empty a-v equipment log sign-up sheet from the past year, and a request to order more construction paper and markers. Traditional lessons expect volunteers to be proficient at Bible, crafts, music, prayer, skits, video, etc etc. Because teachers are not jacks-of-all-trade, they select lesson activities based on their strengths and not the activities merit. For example, teachers who don't like playing games or using music will not use those techniques, even though they would benefit the kids. Furthermore, teachers who don't like to prepare will fall back on talking, worksheets, and simple "at hand" crafts (usually involving coloring or construction paper). This is made especially worse because they had to prepare something new every week. By contrast, Rotation teachers are recruited for specific workshops and styles of lesson plans BECAUSE they like that workshop medium. Their lesson plan uses the materials in that workshop (you can't do art in games, or video in place of music just because you don't want to ). Furthermore, their lessons can be more elaborate and interesting because they aren't just teaching it for one week and then moving on. Workshop teachers also get better each time they present their lesson to a different class. Traditional lesson plans are "one and done" --whether the teacher taught them well or not. Because Rotation solves the problem of "sustainable creativity," you can seek out more creative lessons. Few volunteers will go the extra mile in preparing a truly creative and new lesson EVERY SINGLE WEEK. It's too exhausting. That's why even their best intentions usually begin to slide towards sedentary learning and worksheets. But in the Rotation Model, because the teachers get to repeat their lessons to new groups, and because they only need to perform their creative material gathering/ordering and set up ONCE every four or five weeks, the lesson plan is more do-able and CAN BE more creative. The Video Workshop is always set up to do video, meaning the teacher just has to open the door, not hunt down equipment. And they know where the DVD and remote are on the second week. The Art teacher doesn't have to scramble for different supplies every week to pull off a different story project. By the second week, they also know how to adjust the lesson plan to fit how well the kids did the week before. The Computer teacher has already 'previewed' the software lesson with the first week's class and knows how to teach with the same software better for the second week's class. The Drama Workshop stage doesn't need to be set up each week for a new story. Your props are in place when you walk in. We have HUNDREDS of Workshop lesson plans, some of which are better than others. Some do a better job than others at incorporating creative techniques in all the stages of a lesson plan. Many still reflect a "traditional" approach to putting the activity AFTER the study, or forgetting to incorporate Rotation lesson thinking in their Opening and Reflection. It's not easy for forget decades of traditional conditioning, but we're working on it! Rotation.org continue to delete or improve old content, and create better content. Part of this article aim is to encourage our volunteer writers to improve their Rotation writing approach, but also improve your adaptation of another's less-than-perfect lesson. So for example, where you find a good Art idea in a lesson, you may need to add additional "artsy-ness" to the "OPEN" stage of the lesson. And when you see a sedentary reflection, you might want to add activity to it. We're especially proud of the Writing Team's Lesson Set. Many of them are terrific examples of the difference between Rotation and Traditional Lesson Plans. The Lesson Exchange here at rotation.org has THOUSANDS of Workshop lesson plans, some of which are "better" than others. The following post was made by Neil MacQueen lesson contributor and editor. You are very welcome to respond and make suggestions. REDUCE the talk, and INCREASE the use of your workshop's media to express what needs to be introduced, read, asked, and prayed about. Do not view the creative activity as solely what you do "after you're done talking" or studying the Bible. That's the traditional model's bad habit! Instead, look for ways to use the workshop's medium to DO the study, introduce the questions, make your point, lead the reflection, offer the prayer. Use or make a video clip to make or ask a discussion question in the Video workshop. Do a skit to make your point in Drama. Or dress up as a character to tell the story. Use body movements, or art, or photos in the prayer at the end of the lesson. Read from the Bible on the computer, rather than going to it "after" the study. Use an object lesson to introduce the day's Big Bible Question in the "Science" workshop. Wherever the written lesson says "SAY," think of ways to "DO," "SHOW." Use the workshop's media YOURSELF, instead of just directing the kids to use it. Our Workshop Design Forum is FULL of teaching techniques which can be used at any point in the lesson plan, and not just "after" the study. If you need more "complete" or "polished" Workshop curriculum that's been peer-reviewed and comes ready to hand to your teachers, then go straight to our Writing Team lessons. They have been written by experienced workshop teachers, edited by a professional curriculum writer, and formatted to "published curriculum" standards. Actually, they exceed what is often published! ...And they're free to our Supporting Members. That said, even the WT lessons could use more of this post's advice. Let's all do more to BELIEVE in the power of creative multiple-intelligence teaching techniques, --by using them throughout our lessons.